Are you getting restless looking at the same kitchen features you’ve seen since you moved in? Did you intend to remodel but never got the chance? 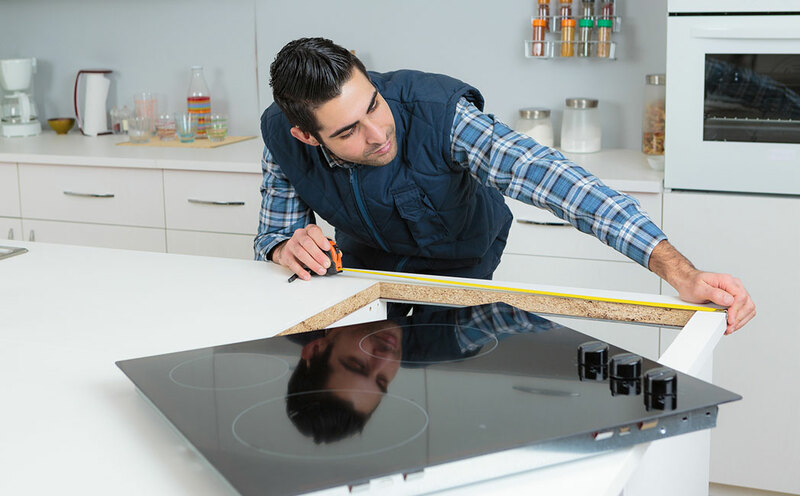 A complete kitchen remodel might not be in your budget, but here are some affordable kitchen upgrades you can use to make your space feel brand new! One of the biggest improvements you can do to your kitchen without spending too much is changing up the cabinets. Kitchen cabinet refacing is something else you could consider doing to make your cabinets looks like new again. It’s quick (usually takes about 3 days), mess free, and comes in large variety of colors and stains from which to choose. It’s about half the price of swapping out your existing cabinets (but without the chaos of a full renovation). A cabinet refacing will pretty much last as long as a traditional kitchen renovation. Painting can be a way to brighten up the whole space and give the kitchen a facelift. White will open up the room, staining them a deeper wood color will spice them up, or giving them some color will make them pop. The pros of painting are that it can be quick, cheaper than refacing, and you’ll keep your existing doors (if you really like the style). The cons: paint isn’t particularly durable, and if you do it yourself, you will see brush marks. Another way you can add some charm to switch out your knobs and handles for new ones. Years of use can pile on the grime. But picking out new knobs or stainless steel handles will give new life to your cabinets. Sometimes the best way to make kitchen updates is to change the lighting. A kitchen that is too dark or has outdated lighting fixtures can effect the mood of the entire space. Installing rope lights under the cabinets can help illuminate hard to see areas and add a glow. Pendant lighting is popular and affordable and comes in many different styles for you to choose. It can help add a little extra flair to the kitchen without going over budget, but can also make a huge difference. The walls of your kitchen are going to be the easiest and most flexible area to change. Painting the walls is the most obvious choice. Choosing a light, airy color will open up the space and make it look bigger. However, painting them something in warmer tone will make the room feel cozy and inviting. If paint isn’t what you’re looking for, maybe wallpaper is. Wallpaper comes in many patterns and colors that could pull the theme of your kitchen together easily. It isn’t expensive, and vinyl wallpaper is actually more DIY friendly. Frames, mirrors, and artwork are a great addition to the finished product. Mirrors make the room seem larger and help light move around the room. Artwork can give it the pop of color it might need. To you, your house isn’t just a house, and every square inch needs to feel like home. That’s why we’re devoted to helping you in all of your kitchen upgrades and household renovation needs. Explore our website to see a portfolio of our previous work, and then contact us for more information or to request a quote for your kitchen upgrade cost!